One writer reflects on why receiving a copy of Their Eyes Were Watching God is the best gift she's ever opened. I purchased my first copy of Their Eyes Were Watching God myself. It was required reading for a women’s literature course I took during my sophomore year of college. I was less than a quarter of the way through the story when I realized that this book was like nothing I had ever read before. I found honesty in its themes, relished the unapologetic determination of its tone, and the voice of its characters felt so familiar and relatable that I came to embrace the author, Zora Neale Hurston and the story’s protagonist, Janie Crawford, as friends, and as mentors. The ideas expressed in this novel left me feeling empowered. Finally, a trustworthy advocate had brought the heart of a beautifully complex and authentic African-American female character—soft and womanly with carefree dreams of wanderlust and romantic love—to the page. As I read—every paragraph I highlighted, every note I wrote in the margins and on post-it-notes, every page I folded down—stood as a testament to this author, in recognition of her audacity to reclaim the femininity of black women and give voice to the side of us seldom portrayed in literature. 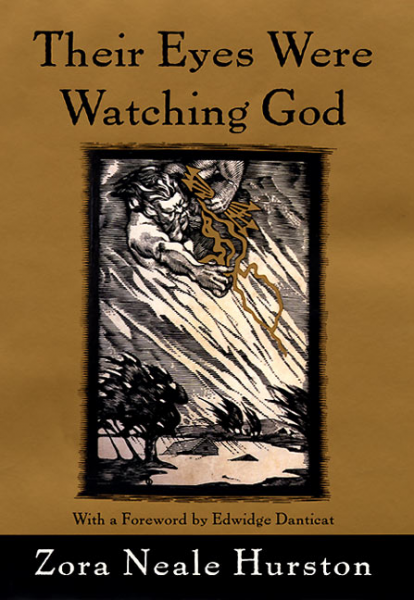 I was so captivated with Their Eyes Were Watching God that I made it a point to read the book once a year. However, every time I pulled my copy from the shelf I couldn’t help but be plagued by childhood memories of librarians scolding fellow classmates for marking up books. The guilt and shame of it was real. So, I placed the book towards the back of my bookshelf—away from the judgmental eyes of others. Then it happened. She paused and gasped in horror as she pulled my copy of TEWWG from the shelf. “What’s this? Is this what I think it is?” she asked. I nodded half-heartedly as I watched her shoulders sink—a slow groan escaped from her throat. I braced myself for the lecture I’d been dreading all these years, one to the tune of “You aren’t supposed to damage books!”—but the words never came. She simply turned to me, eyes wide, mouth slightly opened, and then burst into laughter. Although it was the first time my friend had seen my copy of Their Eyes Were Watching God, it wasn’t the first time she had heard about my love for the book and the impact it had on me as a woman and as a reader. That, I suppose, is what spared me from the lecture I knew very well she wanted to give. Instead of seeing my copy of Their Eyes Were Watching God as a desecration of literature, she viewed it as the diary of her friend’s younger self. She read through some of the notes, asking me to elaborate on some of the comments, and she shared with me some of her thoughts and feelings about the book. As the evening came to a close, we hugged and I wished her a happy and safe travels. Two weeks later she was back at my doorstep, ready to embark on yet another trip. This time, she was heading back to her home in London after a yearlong stay in the States as an intern. As we sipped countless glasses of wine and laughed over animated tales of her journey across the States, she pulled out a book from her suitcase. “This is for you,” she said as she handed me the book. It was a brand new copy of Their Eyes Were Watching God. 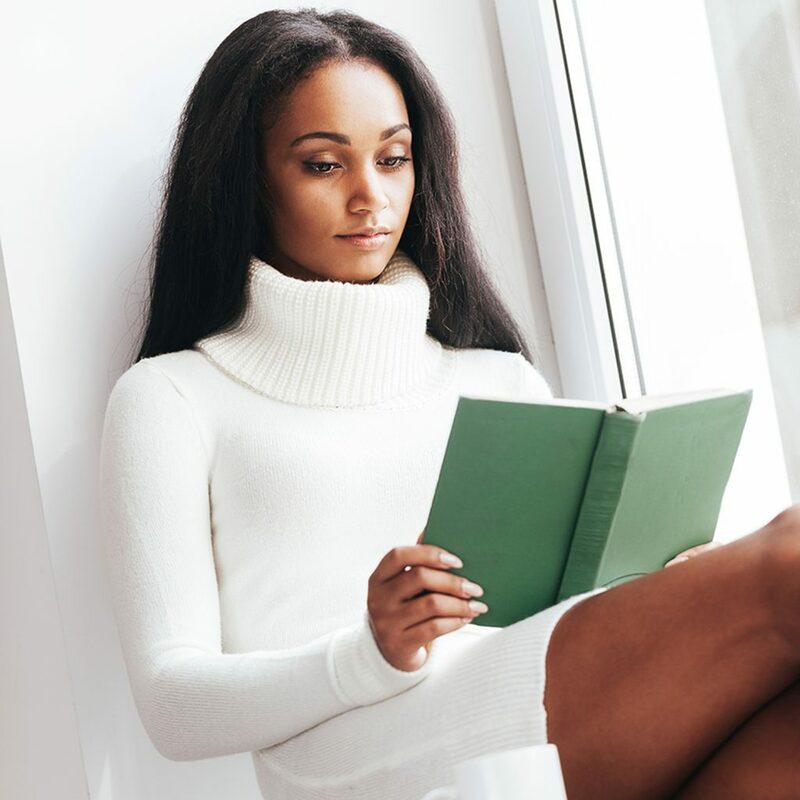 She explained how affected she had been by my sentiments over the book and that she’d always treasure the passionate conversation that had ensued as we flipped through its pages. She respected the fact that I loved my original copy, but she wanted me to have a pristine copy that could sit at the forefront of my bookshelves, representing its position as one of my all-time favorite reads. But most importantly, she wanted me to have a new copy to refer to for my annual readings—one I could view through the eyes of the woman I had grown into—not the woman I used to be. I was speechless and overwhelmed with gratitude that I had managed to attract such a person into my life. Through this gift, my thoughtful friend had made me feel very much the way I felt the first time I read the words of Zora Neale Hurston’s Their Eyes Were Watching God—that I had been seen, and that I had been heard because I mattered. 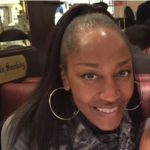 TA-TANISHA WILLIAMS is an Associate with the Community Development Department of The Crown Publishing Group. She loves books (obviously), politics, film, MSNBC, science, anime, Stephen Colbert, all things Buffy the VS, and watching North American vloggers chronicle their lives abroad (especially those living in East Asia). She has written for Books for Better Living and Read It Forward.